Looking to bet on England to win vs. Slovakia? Betfair can help maximize your profit with enhanced odds for this match. The UK betting exchange and sportsbook offers you 20/1 on England to win and up to €100 in free bets. Check out our article below to find out how to claim your enhanced odds offer for England vs. Slovakia. Betfair is frequently running new promotions for their customers. One of the most popular types of promos are enhanced odds offers. In most cases these offers are limited and only available for customers who have not signed up with Betfair yet. 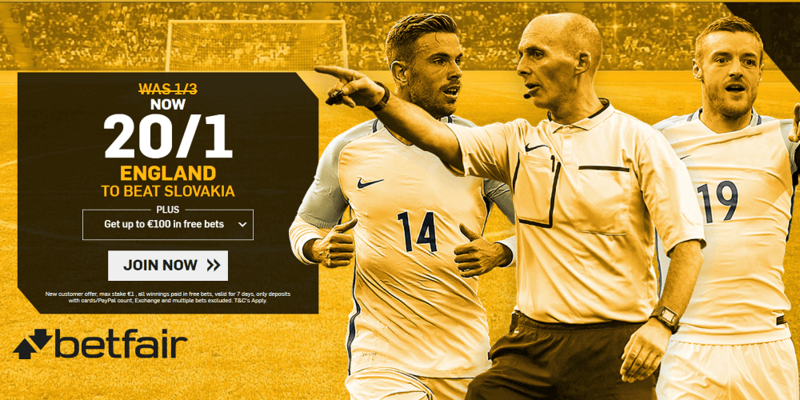 Betfair offers you 20/1 on England to beat Slovakia. The average odds for that selection are approximately 2/5 so there is definitely some extra cash to be made – if you expect England to win this match. If you do, it obviously would make sense to bet on England at Betfair and make use of that offer. That being said, the maximum stake is limited to €1, which is rather low, but Betfair gives you some huge value on top. After the game is over you can claim up to €100 in free bets. Betfair offers you even more value. After you have placed 5x €10 (or more) bets, you will receive €20 in free bets. You may repeat that up to 5 times to receive €100 in free bets in total. The minimum odds for those free bets are 1/2(1.50) and exchange bets are excluded. Sign up with Betfair through our link: Click Here. Use the promo code: ZFBDDX. Bet €1 on England to beat Slovakia in the “Match Odds” market at the enhanced price. Then you qualify for up to €100 in free bets. One €20 free bet is awarded with every 5 x €10 bets. See terms for an example. Besides the above mentioned enhanced odds, we are providing many other offers on a regular basis. 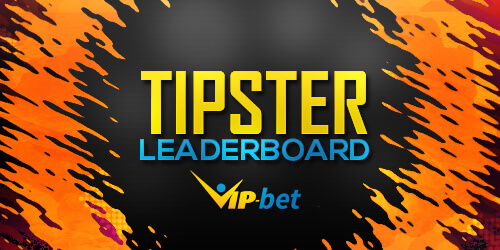 You can find enhanced odds offered by many different bookmakers at VIP-bet. Most bookies boost odds on football matches, but many of them also offer boosted odds for other sports including tennis, boxing, Formula 1, and more. We are regularly adding new offers so make sure to visit our site frequently to stay up to the minute on any high value odds offers. Click here to view our full preview of the match with free betting tips. This offer is only available for new customers who are residents of UK or Republic of Ireland using promo code ZFBDDX. Place a bet on England to beat Slovakia in the ‘Match Odds’ market at the enhanced price on the Sportsbook. Max stake €1. The free bets will be awarded within 24 hours of the end of the match. Applicable to accounts registered in UK, Ireland, Spain, and Denmark only. For every 5 x €10 single bets, you will receive a €20 free bet. More than €10 can be staked but will only count as one bet. Your bets placed using free bets as the stake (in full or in part) will not qualify. Stake on different events at minimum Odds 1/2 (1.5).